p.r.n. is the only home care service in Pittsburgh that offers in-home chore services to help the elderly, disabled, and handicapped live independently at home. Our Chore Service helps your loved ones retain a high standard of living, while taking the burden of cleaning and home maintenance off of relatives or caregivers. p.r.n.’s Chore Service is perfect for senior citizens or people with disabilities, whether living either alone or with a caretaker. Getting help at home frees up your loved one to focus on gratifying activities, and lets everyone rest a little easier knowing their family is safe and comfortable at home. Our network of trusting, compassionate professionals is dedicated to helping seniors lead fulfilling lives. By making sure the little things are all in order, we ensure that every day flows as smoothly as possible. 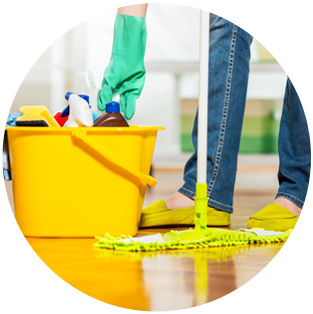 Whatever the barriers to housekeeping, be it a lack of physical stamina or financial capability, you can count on p.r.n. to provide the extra low-cost care necessary for you or your loved one to live happily at home, independent and stress-free. Call us at 1-800-860-8222 or contact us online to learn more about our Chore Service. Together, we’ll design a support system tailored to you and your family’s unique needs.